Most people with PD (Parkinson’s Disease) have swallowing problems. This article outlines the effects of PD on swallowing and dental health and provide tips for staying safe, eating well and establishing a routine for dental care. Because swallowing involves a very complex sequence of movements, it is no surprise that PD — a movement disorder — affects swallowing. For example, the slowness of movement that often comes with PD may affect chewing, biting, the ability to work the tongue and the ability to get food or liquid down in one bite. What are other signs of a problem? 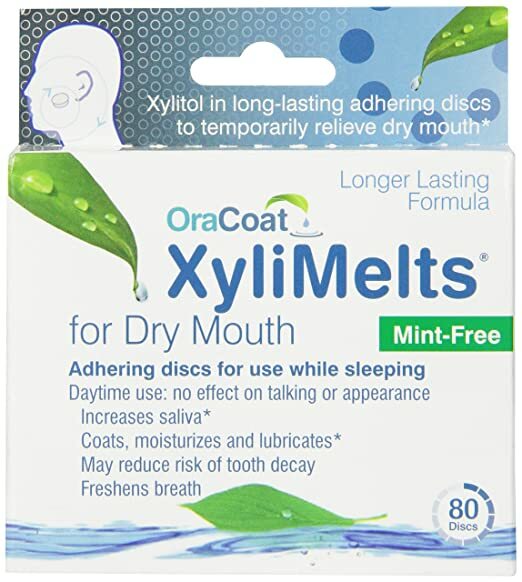 A person with PD may lose food or liquid out of the mouth, may swallow in small bites or sips or may have difficulty with certain textures. He or she may stop eating foods that are difficult to swallow, may cough or have a wet or hoarse voice while eating and drinking. 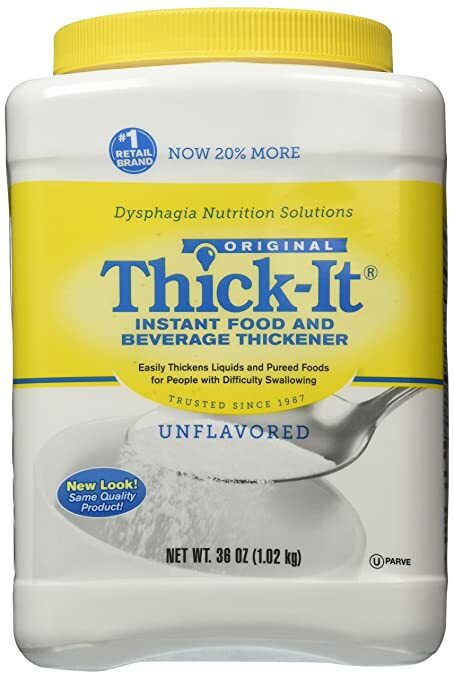 The term for swallowing difficulty is dysphagia. It affects the mechanics of swallowing and quality of life. Many people become frustrated or embarrassed and isolate themselves from social activities such as dining with friends or family. More importantly, dysphagia can lead to malnutrition, dehydration and aspiration (when food or liquid “goes down the wrong pipe”). Aspiration, which can sometimes be “silent,” meaning a person does not cough or choke, can lead to aspiration pneumonia — the leading cause of death in PD. Thus, it is important to ensure that people with PD can swallow effectively and eat safely. The first step to addressing swallowing issues is to speak to a neurologist about getting an evaluation performed by a speech-language pathologist (SLP). This professional will take a medical history and interview the person with PD about eating and swallowing. This is typically followed by either a video x-ray or an endoscopic examination, which allow the medical specialist to observe the swallowing process as an individual sips liquid and eats food, as these substances flow from the mouth, down the throat and esophagus, to the stomach. With these tests, it is possible to see where exactly the trouble is occurring, and to recommend therapies. Exercise and Swallow Hard. Just as exercise can ease other PD-related movement difficulties, it can also help with swallowing. One technique is the Lee Silverman Voice Technique® (LSVT®), familiar to many people with PD as a therapy to help people improve speech. It helps a person to exaggerate speaking and swallowing. In addition, working with an SLP on an individualized program can help the person to swallow hard and move food from the mouth down the throat. Expiratory Muscle Strength Training. This therapy strengthens respiratory muscles, improves cough and swallowing and reduces aspiration. Change the Food. Modifying liquids into solids can help. For people who find that liquids get into the airway, liquids need to be thickened or avoided completely. When my mother barely eating, we gave her Boost Very High Calorie Nutritional Drinks. They are very palatable, and don’t contain lactose. This is a good option to provide much-needed calories, and can be thickened into a pudding with Thick-It. (You can read about what happened to my mother here). Swallowing difficulties can also be eased by taking bigger or smaller bites or sips — or by pureeing the solid foods. The best first step is to obtain an evaluation, so the SLP can recommend how to modify food and liquid. Regular visits to the dentist are important for all of us. For a person who has PD, dental care is even more critical because PD can impact the health of the mouth, teeth and jaw and make dental care challenging. Rigidity or tremor may make it difficult to brush one’s teeth. Symptoms such as fatigue, anxiety and tremor can make it difficult to commute to appointments, sit still in the dentist’s chair or open the mouth wide. Common PD symptoms and side effects such as rigidity, tremor and dyskinesias can cause discomfort in the joint that connects the lower jaw to the skull. They can also be a cause of cracked teeth, tooth wear, changes in the fit and wear of dentures and tooth grinding. Too much saliva can lead to a fungal infection at the corners of the mouth, which is easily treated. By contrast, too little saliva or dry mouth increases the risk of cavities. Sucking on sugar-free hard candy or using artificial saliva substitutes can help. It may also help to avoid alcohol, tobacco and spicy and acidic foods. A few tips can significantly improve dental visits. Call first to make the office aware of you or your loved one’s PD symptoms. This will help the dentist and the staff to provide better treatment. The dentist should have a sense of overall health of a person with PD, and someone on staff should record vital signs upon arrival. It is important to tell the dentist if the person with PD is taking MAO-B inhibitors (rasagiline and selegiline), as these may interact with anesthetics. Lastly, because dental visits may become more troublesome as PD progresses, consider scheduling the replacement of old fillings, crowns and bridges, and ill-fitting dentures, during the early stages of PD. Ask to keep the dental chair more upright, to make swallowing easier. Plan short appointments early in the day. Schedule appointments to start about 60-90 minutes after a levodopa dose. After the treatment is over, get up slowly from the dental chair (to prevent dizziness). Request all instructions in writing, with copies for the care partner as well as the patient. Schedule check-ups and cleanings every three to six months. For people who wear dentures, the dentist should screen for oral cancer and evaluate the fit of the dentures as part of the routine visit. Regular brushing, flossing and rinsing with an over-the-counter fluoride rinse help prevent cavities and gum disease, but PD movement symptoms can interfere with one’s ability to maintain oral hygiene. 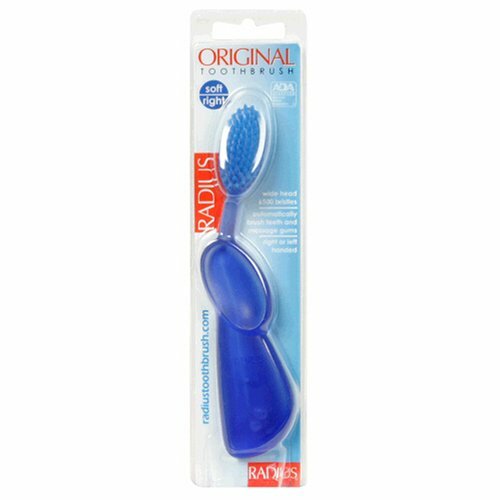 People with PD should try using a toothbrush with a large-handled grip and soft bristles. A small brush head reaches the corners better. To make the toothbrush easier to grasp, it may help to place the handle inside a bike handlebar grip or tennis ball or to use an electric toothbrush. Aim to brush after every meal for two minutes, and also brush the tongue. It’s best to brush one-handed, using the stronger side of the body. If it’s not possible to brush after a meal, simply rinsing the mouth with water will help. Flossing is important, but may mean getting help from a care partner. For fluoride rinses, if swishing and spitting are difficult, the dentist may recommend a brush or sponge applicator. 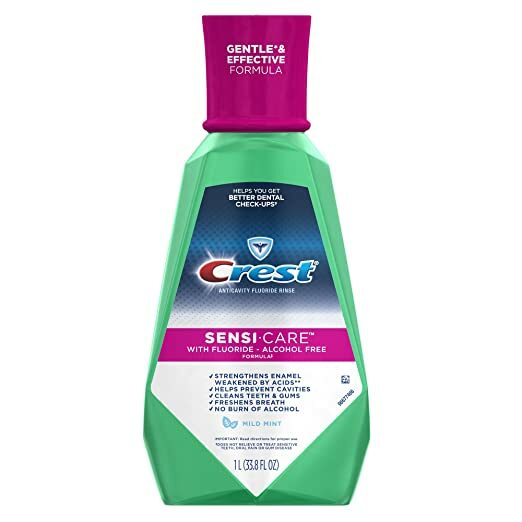 Antimicrobial mouth rinses also can be applied with a brush. If you have dentures, remove after each meal, brush and rinse them. At night, brush or clean them in a solution. Brush your teeth while listening to music. For some people with PD, music can help calm movement and may help you get into a rhythm making tooth brushing easier. Invest in an electric toothbrush. While a bit pricier than manual toothbrushes, going electric can make brushing teeth much easier. 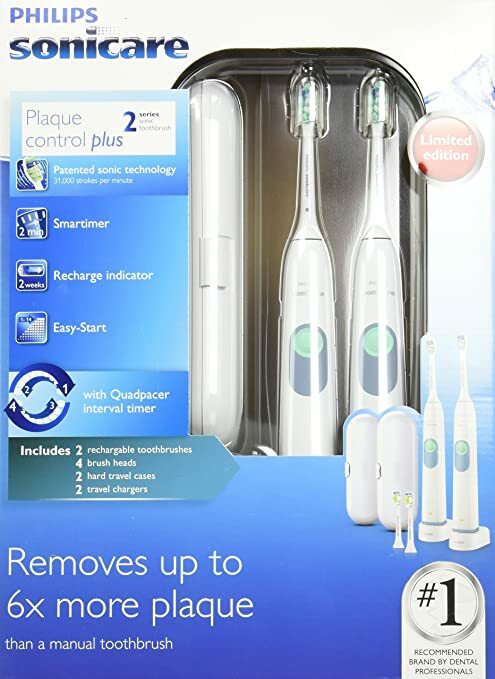 Get an electric toothbrush with a 2-minute timer. Talk with your dentist about prescription toothpaste, one with a higher percentage of fluoride than regular paste. PD medications can cause dry mouth, leading to cavities and gum disease. A water flosser (e.g. 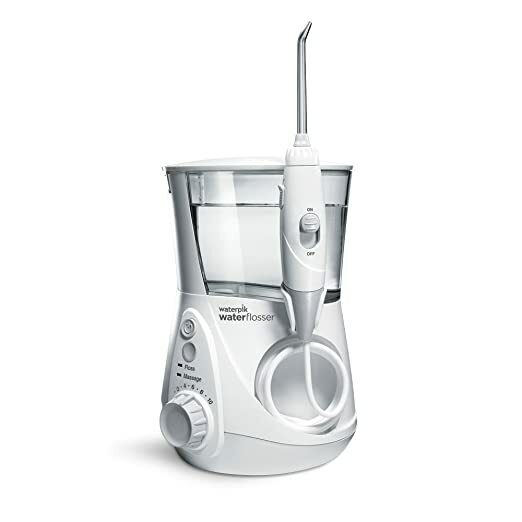 WaterPik) helps clean between teeth and may be easier to use than string floss. Use a small dab of toothpaste and encourage spitting so not to swallow excess paste. Sit while you brush. Set up a mirror at chair level and use the chair arms to help steady you while brushing. Safely clean dentures daily by attaching a nailbrush to a household surface with a suction cup and then moving the denture back and forth across the brush. Have regular dental examinations and cleanings. Schedule morning appointments when waiting time is shorter and plan for several shorter appointments. 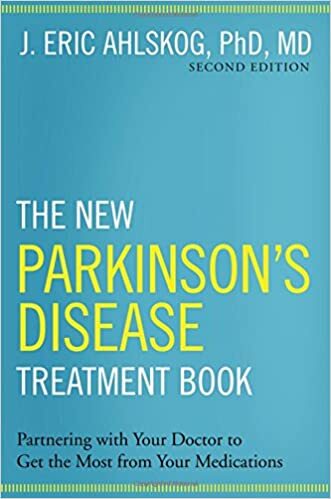 Parkinson’s can affect a person’s ability to swallow, and maintain dental and oral health.The good news is you, or a loved one with PD, can address these difficulties, while making meals enjoyable. I hope this article provided some helpful ideas. I welcome your comments below.